If the expense of securing a marina berth at each of your destinations sets your head spinning, anchorages are the perfect alternative that will take you away from the hustle and bustle of towns and cities. Rachael Steele, of specialist charter brokers Charterworld.com, a company that organises bespoke superyacht vacations, selects some of the most sheltered, peaceful stopping spots around the Caribbean. 1. 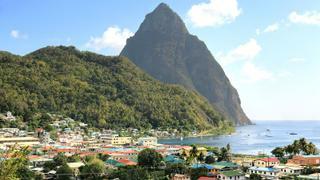 Soufrière Bay (Pitons), St. Lucia The Pitons of St. Lucia are a UNESCO World Heritage Site and the town of Soufrière is the closest settlement for guests looking to hike along their hot springs-spotted paths. Rare flora and fauna can be found on the peaks and under the water. 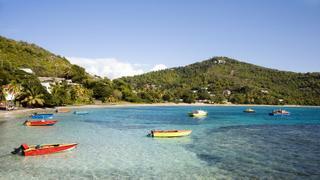 Sixty per cent of the marine area is covered in coral so divers and snorkelers will be just as richly rewarded by one of the best dive sites in the Caribbean as those who would rather stay on land. If the expense of securing a marina berth at each of your destinations sets your head spinning, anchorages are the perfect alternative that will take you away from the hustle and bustle of towns and cities. Rachael Steele, of specialist charter brokers Charterworld.com, a company that organises bespoke superyacht vacations, selects some of the most sheltered, peaceful stopping spots around the Caribbean. The Pitons of St. Lucia are a UNESCO World Heritage Site and the town of Soufrière is the closest settlement for guests looking to hike along their hot springs-spotted paths. Rare flora and fauna can be found on the peaks and under the water. 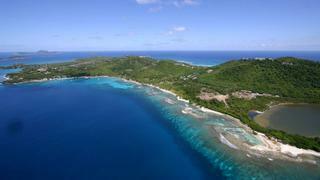 Sixty per cent of the marine area is covered in coral so divers and snorkelers will be just as richly rewarded by one of the best dive sites in the Caribbean as those who would rather stay on land. 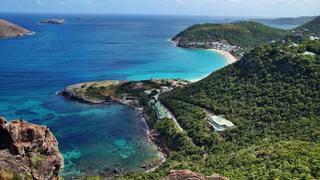 Boasting a variety of inlets and bays, there is a choice of places to anchor in Nonsuch Bay, where the reef shelters from rough weather farther offshore. 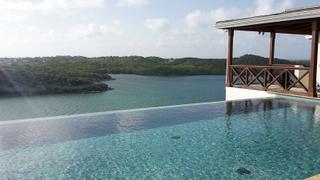 Anchor close to the resort or find your own secluded beach to wake up to in the mornings. The area also has an excellent reputation for beginner-level windsurfing and kitesurfing as well as trails for paddle boarding and kayaking, and close by guests can even have an up-close encounter feeding stingrays at Stingray City. This secluded beach located at the north-west end of St Barth's is unspoiled by amenities of any kind and you will only have to share with a few very dedicated hikers and other luxury yachts that know of this excellent anchorage. The shallow water and lack of current create the perfect conditions for teaching young learners how to snorkel and improve their swimming skills, while older members of the group can lie back on the beach enjoying the company and the pristine surroundings. 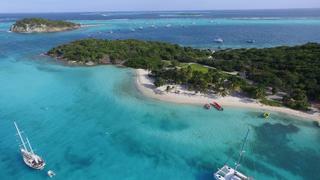 The UNESCO World Heritage Site Tobago Cays consists of Petit Rameau, Petit Bateau, Baradal, Petit Tabac and Jamesby. 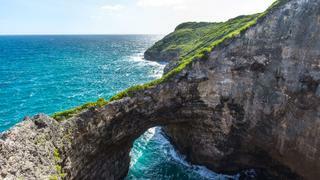 They are considered a national treasure of Tobago and being uninhabited, they have avoided the erosion usually associated with tourism en-masse. All of the cays have excellent anchorage spots with sea turtles and giant starfish to be found within crystal clear waters, and family and friends don’t need to go far to have an encounter while swimming or snorkelling in the shallows. There's one anchorage after another to choose from on Marie Galante, an island with a turbulent history that has resulted in sturdy stone forts, windmills and distilleries. Follow in the footsteps of Christopher Columbus and anchor in Anse Ballet, then divide your time among the local landmarks and the long sandy stretches along the west side of Marie Galante. Friendship Bay is the perfect location to spend a night: Clear water, a long sandy beach and just enough eateries if you decide to go ashore and try some local delicacies. Anchor off this turtle nesting beach and you may be lucky enough to spot the sea turtles as they come into shore at dusk. Vibrant and buzzing, Brittania Bay is worth visiting as much for its architecture as the splendid beach and shelter from strong currents. For live music and refreshments, Basil's Bar – currently closed for a refurbishment that will be unveiled next spring – is a well-known yachty watering hole just on the coast that will fill your evening with entertainment.